We find worship in the Bible where we would hardly expect it. The story of Gideon is one such place. We know the story well, but where do we find “worship”? Let’s review the facts. The angel of the Lord comes to lowly Gideon and tells him he’s a “mighty man of valor.” He will save Israel from the Midianite armies. Gideon must take a tiny army of three hundred against tens of thousands. They blow trumpets and reveal their torches. 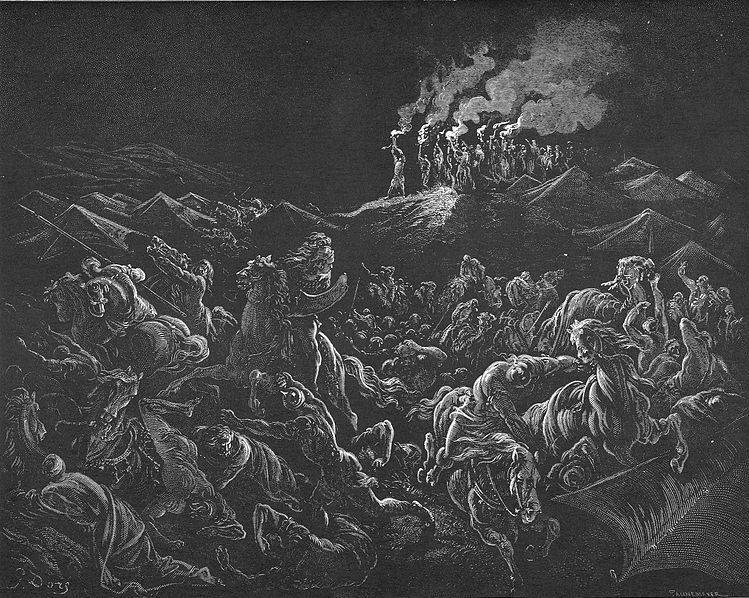 The Lord sends the army of Midian into chaos and terror. The Midianites flee, and God receives the glory. What does Gideon do throughout? He simply obeys God. He sounds the trumpet to point to God’s work, not his own. Where is the worship in the story of Gideon? It’s a small but important detail—Gideon worshiped. What can we learn about worship from this story? Let’s take a closer look at what happens. What leads to worship? And what is that worship like? God causes worship by revealing Himself and his plan. Gideon worships because of what God is doing. He founds his faith on God’s promise. If the word of the angel and the miracle of the fleece were not enough to convince Gideon of the promise, now he can surely believe. God plants overwhelming evidence of the promise within the very dreams of Gideon’s enemies. Here is a general principle for worship: God gives the worshiper evidence of salvation. The worshiper responds with trust and joy. The response of trust and joy, this is worship. Trust: Because of God’s sure promises revealed. Joy: Because the promise was to save. We worship God in our hearts before we worship him with our lips or our instruments. The first leads to the second. The moment the heart worships God—the moment the heart trusts and rejoices in God because of his promises—that is the starting place of proclamation, of trumpets, and of the advancing of God’s kingdom. When our hearts worship God with full trust and joy at his promises, that is when we, like Gideon, will see God’s mighty power.